Our operational intelligence tool and automated personalized product recommendations help your e-commerce to maximize your marketing return on investment. For a limited time, enjoy a 3 month free trial. Enter your information below, and we'll get back to you as soon as possible. NextSmarty's state of the art artificial intelligence and machine learning technology is featured by industry leaders & academia. Click here to download our white paper. Solves the cold start problem when no historical data exists about the user, ideal for websites focused on driving new traffic. Because user shopping behavior varies by product (ie. 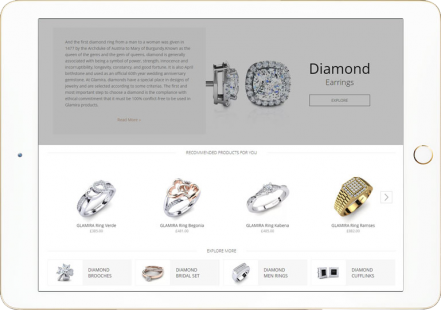 jewelry, shoes), our AI is tailored to your domain to maximize conversion. Reinforcement learning enables the algorithm to work without the need for big data.